August brings us a fine example of Solihull engineering at its best: the Rover P6B. Rear view shows clean and unspoiled lines, accentuated by the optional Cosmic alloy wheels. I bought the car about six years ago as a virtual wreck with a VERY dubious MOT. When I tried to fit rear seatbelts for the kids, I discovered that the parcel shelf had rotted away, taking most of the boot floor with it. Most of the roof/boot and bonnet guttering was also missing (a very rare pattern of rot on a P6) and yet the sills and floors were all fine. I later discovered the reason for this from a previous owner: the car had had a Webasto sunroof fitted at some point in the past. The corrosion had been exacerbated somewhat, because it had stood unused under a tree for 12 years(!) during the 1970s and 80s and the Webasto sunroof had rotted. In doing so, it let water into places that would not normally be a problem! It took me two years to sort the car; they don’t make repair panels for those areas, so I had to laboriously cut out the relevant sections from a scrap car and weld them in. I had a cheap respray done in Brigade Red; as the car was to be my daily driver, I couldn’t justify a quality paint job because of the possibility of easy damage in supermarket car parks! I have also fitted period Cosmic alloy wheels, tinted glass and a better set of cream leather trim. It also now has those rear seatbelts for the kids! 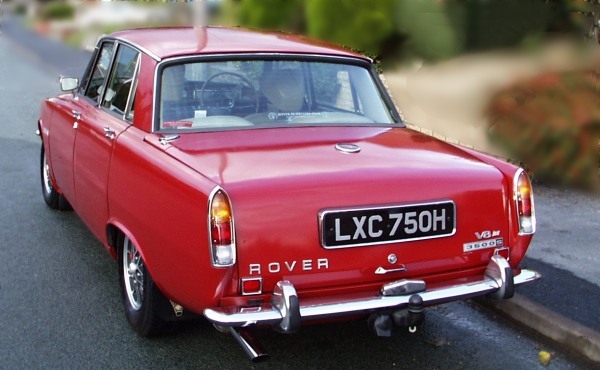 David Bache‘s styling at its best: the P6 was a landmark car for Rover, as it was a technical leap into the unknown. 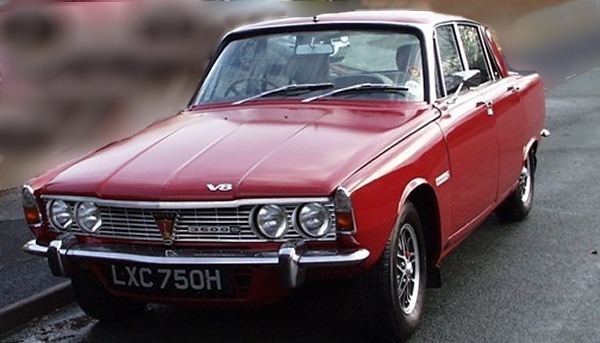 The gamble paid off and Rover sold 327,000 P6s during its 14-year production run. 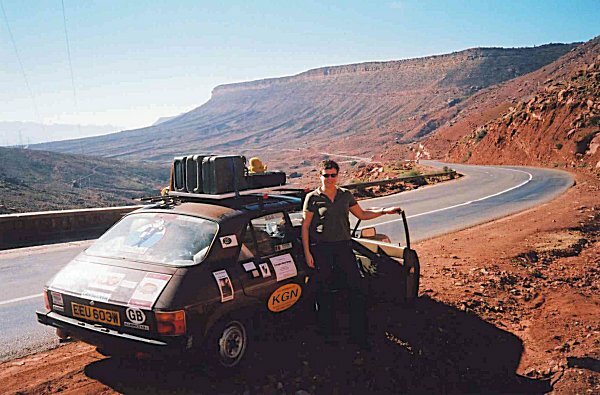 The car has only covered 60,000 miles, and is still on its original engine. I had the automatic gearbox rebuilt, and have replaced brakes and shock absorbers; otherwise it is mechanically sound. As planned, it is now my daily driver, and basically I love it! Big, roomy, powerful, turns heads and is very cheap to run, as I do all repairs myself. Even the fuel consumption isnt too bad: 25-28mpg (urban). A couple of images from the comprehensive restoration.